Heaven forbid you should question this wisdom or, worse yet, fail to get the prescription filled. Do you dare not follow orders? Your doctor just might fire you! What on earth would you do then? What would your heart do then? In many cases, your heart might thank you. Over the past decade, evidence has been mounting that inflammation, not cholesterol, is the chief culprit when it comes to cardiovascular disease and stroke. One of the top popularizers of this information has been Dr. David Perlmutter, a neurologist based in Sarasota, Florida and the author of such books as Grain Brain: The Surprising Truth about Wheat, Carbs, and Sugar—Your Brain’s Silent Killers and, more recently, Brain Maker: The Power of Gut Microbes to Heal and Protect Your Brain—for Life. Recent studies, according to Dr. Perlmutter, suggest that higher cholesterol levels correlate with longer life span and might actually be protective in older age groups.1 Perlmutter, David. Grain Brain: The Surprising Truth About Wheat, Carbs, and Sugar—Your Brain’s Silent Killers. New York: Little, Brown, 2013, pp. 78–79. That doesn’t mean that high cholesterol is harmless, of course. 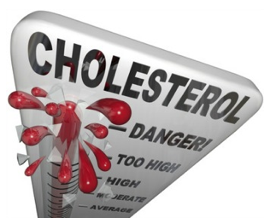 Most people are aware of the differences between HDL (high-density lipoprotein) and LDL (low-density lipoprotein) cholesterol; having higher HDL numbers relative to LDL tends to be a protective factor. LDL cholesterol actually serves as a transport mechanism for cellular processes. The conventional wisdom is that high LDL numbers are “bad,” but this doesn’t take into account the types of LDL molecules that are actually in one’s system. Specialized blood tests can show whether your LDL molecules are large and fluffy (good prognosis) or small and dense (more questionable). 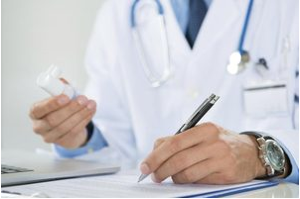 It’s worth locating an MD, DO, or naturopath who will run these tests if you’re in any doubt. So, what if your overall numbers are very high, your LDL likewise (especially if the molecules are small and dense) and your HDL is low? It might be necessary to alter your dietary preferences and to use herbal medicine to reduce your numbers somewhat. 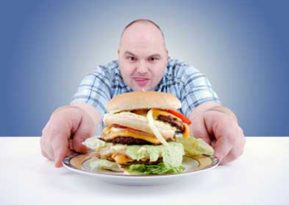 Just don’t panic and assume that statins are your only solution. Statins are toxic to the mitochondria—the basic energy factory in each and every cell in our bodies. Our cells thus become energy depleted and more susceptible to DNA damage. The resulting cell damage contributes to the development of coronary heart disease. Statins inhibit the synthesis of vitamin K2 (important for our gut health) and accelerate the process of calcification in our arteries. People taking statins are more likely to develop diabetes, as is borne out in clinical trials. In Chinese medicine, the Liver and Spleen are considered to play central roles in the processing of cholesterol. When excessively high cholesterol is due to dietary indiscretions (consumption of deep-fried foods, the wrong kinds of fats, too many sweets or too much gluten), we are looking at an excess condition involving Spleen dampness and possibly Liver damp-heat. Lifestyle changes are paramount strategies to address this pro blem, but herbal medicine serves as a useful adjunct speeding the process. When high cholesterol is familial and occurs in spite of an excellent diet, however, we have a Liver deficiency pattern. Specific herbs are employed to bring the cholesterol down to a reasonable level (which might still be considered higher than desired by the western medical playbook, but no longer dangerous). These herbs can reduce cholesterol, on average, by 60 to 80 points, at the same time benefitting HDL levels, too. The exact herb or combination of herbs that an individual needs will vary from person to person and is chosen based on unique factors. The takeaway message is twofold: First, that a cholesterol level higher than 200 need not always be a liability, and second, that nature-friendly help is available without resorting to potentially harmful statin drugs. Give acupuncture and herbal medicine a try—use the Contact Me page to call or email now or to schedule your appointment!